William White: The State of Recovery Advocacy in the U.S.: An interview with Patty McCarthy Metcalf. A new recovery advocacy movement rose in the late 1990s and early 2000s that has since grown exponentially in the U.S. and spread to other countries. The central institution linking grassroots recovery community organizations since its founding in 2001 is Faces and Voices of Recovery, now led by Patty McCarthy Metcalf. Before assuming the directorship of Faces and Voices of Recovery, Patty had served as Deputy Director of BRSS TACS and as Director of Friends of Recovery Vermont. I recently (April 2016) had the opportunity to interview her about her life as a recovery advocate and the state of the recovery advocacy movement in the U.S. Please join us in this informative conversation. Connections inform your later work as a recovery advocate? Patty Metcalf McCarthy: My work with these organizations focused primarily on meeting the needs of underserved populations, mostly low income families in rural communities. The complexity of the issues required an ability to look at the system as a whole and see where the gaps are. At the same time, it was important to look at these programs as assets in a system that needed greater coordination and collaboration to improve outcomes for the people served. My role was to engage program participants (parents, caregivers, and community members) in decision-making roles, providing leadership and empowering others. This early experience is where I began as a community organizer, listening to the issues of disenfranchised groups and assisting them in finding their voices through organized activities and campaigns. Bill White: You then worked as a clinical case manager for a mental health center and as a prevention specialist for the State of Vermont. Could you describe these professional experiences and what you gained from them? Patty Metcalf McCarthy: While I was in graduate school working on my counseling degree, I was fortunate to be hired as a clinician in my internship where I worked with children from 5 – 17 years of age, some of whom were experimenting with drug use, and almost all had addiction histories within their families. Most of the reason for this intervention was related to poor school functioning or involvement with the child welfare system. It was in this role that I gained an understanding of how the “system” worked (or didn’t) for families experiencing significant challenges. Through the eyes of these individuals and families, I saw the horrendous impact of stigma and discrimination that was affecting whole communities and was a barrier to community wellness. It was at this point that I realized that my real calling was to work on more systemic and global issues rather than with individuals one-on-one. I knew I could counsel children and families with mental health and substance use challenges, and had actually believed that I would one day become a psychologist as my father was, but my mother’s genes prevailed and informed my decision to change my degree from Counseling Psychology to Community Counseling, which focused more on the community level than on individual illness. My mother, who also had a degree in psychology, worked as a community organizer in Philadelphia when I was a child. She worked on awareness campaigns for low-income issues and with unions in South Philly in the ‘70s, and brought me along for block parties and union rallies. I was still in graduate school when I starting working nights and weekends as an evening aide in a residential treatment center. I helped clients who were coming in after hours to get settled in and become acquainted to the treatment program. It was around this time when I was starting to talk more openly about my recovery. I had been in long-term recovery from alcohol and drug addiction for twelve years at that point and I was friends with a lot of people who were working in the field. Soon after that, I became a Substance Abuse Prevention Consultant with the State of Vermont where I was active in coalitions, councils, and committees and I interacted with all sectors of the community. As the result of a tragic drug-related triple murder, we formed the Rutland County Heroin Committee, where I was facilitator and organizer. It was there where I thrived professionally by bringing diverse stakeholders together, building consensus, and finding solutions. This resulted in starting a recovery community center, forming the “At Wit’s End” parent support group, starting a local drug court, and more. I loved this part of my job; it was very rewarding to see these much needed programs start from a collective idea and grow to impact so many lives in the community. Bill White: How would you describe the transition from being a person in recovery to becoming a recovery advocate? Were there any transformational moments in that process? Patty Metcalf McCarthy: Today I’ve been in recovery for more than half of my life--26 years. Looking back to those early years there were definitely some transformational moments in becoming a recovery advocate. My story is that I used alcohol and drugs pretty heavily in high school and college and had been to residential treatment three times in 1984. My counselor tried to get me to cut down on my drinking and drug use (harm reduction) and my doctor was recommending medication-assisted treatment by prescribing Disulfiram (Antabuse). This was before there were substance abuse counselors in schools so it was my guidance counselor who coordinated my care. It was tough to try to remain drug-free as a teen and young adult and there were no support services for people my age, so I started the first AA meeting on my college campus. Eventually, I began to actively participate in AA and entered sustained recovery at 23 years old as a senior in college. It was my family, my sponsor, and my peers in AA who helped me graduate-- sober! I interviewed for the Prevention Consultant job with the State of Vermont, and I shared openly about being in recovery. I was proud of my recovery and I saw it as a strength for the job; to know first-hand how a teenager experiences alcohol and drug use and what it’s like to be a young person in recovery. A lot of the prevention work with schools involved teaching Life Skills, developing mentor programs and promoting substance-free recreation. I became an advocate for young people and their families struggling with addiction. Bill White: In 2003, you assumed the role of Director of Friends of Recovery—Vermont (FOR- VT). How did that opportunity arise? Patty Metcalf McCarthy: I had been attending some public awareness events organized by FOR-VT around the state, and I was intrigued by the mission of the organization. The goal of eliminating negative public perceptions really resonated with me. I had seen how harmful it was to my peers in the recovery community, particularly young, educated women. The shame and guilt was just paralyzing for many of the women in my peer group. I gravitated toward people who wanted to be part of the solution rather than the problem so getting involved with FOR-VT was a perfect match for me. It reminded me of Marty Mann when she stood up during Operation Understanding as one of only a handful of women talking about their alcoholism. She said then that women faced twice as much stigma as their male counterparts, and I could relate to that. I was ready to become a public face and voice for recovery and since I had already developed many professional relationships around the state, and I knew a lot about treatment and recovery resources, I was confident the job was a good fit for me. Bill White: Could you describe the programs and services provided through Friends of Recovery—Vermont? Patty Metcalf McCarthy: FOR-VT started in 1998 as part of the New England Alliance for Addiction Recovery (NEAAR), one of the original grantees in SAMHSA’s Recovery Community Services Program. As a recovery community organization (RCO) and with the support of the Single State Authority (SSA), it was formed out of the need for the voice of the recovery to be at the table to discuss policies and legislative issues. There was a strong focus on celebrating recovery and developing new and emerging peer support services. FOR-VT was instrumental in developing a network of recovery community centers and recovery coaching programs and has significantly expanded its outreach and it’s training programs over the years. The organization has conducted a wide range of public education activities, including annual legislative awareness days, recovery walks, Soberfest, messaging training, community listening forums, and has engaged thousands of individuals and family members. Bill White: What would you consider your most important achievements during your ten years of leadership at Friends of Recovery—Vermont? Patty Metcalf McCarthy: There were dozens of times when I spoke about the promise and hope of long-term recovery and the needs of the recovery community at legislative committees and I thought, are our stories really making a difference? As it turns out, policymakers were listening closely to our advocacy messages and they began to believe that long-term recovery was possible and that people in recovery were part of the solution. Over the decade of my leadership, the cumulative effect of mobilizing the recovery community to develop recovery community centers and recovery coaching programs, and working with our state partners, has resulted in a strong organized recovery movement. FOR-VT also became a leading voice in parity and health care reform discussions, under the umbrella of the Vermont Association for Mental Health and Ken Libertoff’s leadership. The Association put Vermont on the map as having the strongest mental health equity and addiction parity legislation in the nation at the time. I have to credit Ken for helping me learn the advocacy ropes; he was an amazing mentor. Bill White: Vermont is a rural state with a quite distinct culture. How did you go about mobilizing people in recovery within Vermont? Patty Metcalf McCarthy: The fact that Vermont is a small state with only around 650,000 people is both a challenge and an opportunity. The main challenge is geographic; traveling across the state is necessary for reaching people in their own communities. The real opportunity lies in the fact that Vermonters are easy to talk to and easy to engage on social issues. When the Governor makes it a priority to address addiction as his entire State of the Union address, that’s a strong indication that people at all levels are not afraid to talk about addiction. Initially, however, many people were hesitant to identify themselves as being in recovery for fear of consequences for their families and employers in small towns where everyone knows one another. The key to mobilizing in a small rural state is one-by-one, literally. My approach is to spend time in a community identifying those who are natural leaders who want to get involved with a movement that will help others in recovery--and then finding a leadership role for them. Vermonters have a real strong sense of “giving back” what was freely given to them in their recovery programs. The core values and recovery principles are strong and come naturally. Vermont legislators are also really accessible and approachable. The best approach is to spend time in the State House cafeteria meeting with legislators over a cup of coffee and getting to know what’s important to them personally and inviting them to events as our recovery champions. Bill White: One of the critical issues you faced in Vermont was the rise in heroin addiction and opioid-related deaths. How did Friends of Recovery--Vermont help the state respond to that crisis? Patty Metcalf McCarthy: The majority of media focus has been on drug-related crime and the children in child welfare custody due to parental drug use. The challenge has been to get the media to focus on the stories of the millions of Americans who are in long-term recovery. By sharing our recovery stories, we can eliminate the negative public perceptions that the media often spotlights. FOR-VT has hosted community forums to engage the policymakers and the media in the solutions to the opiate epidemic. There is clear evidence that recovery community centers, recovery housing, recovery coaching and other types of peer-based recovery support services have helped the state respond to the crisis by providing a safety net to those in need. Today, the recovery community centers and peer recovery coaching are integral parts of the innovative “hub and spoke” model with the Vermont Department of Health. 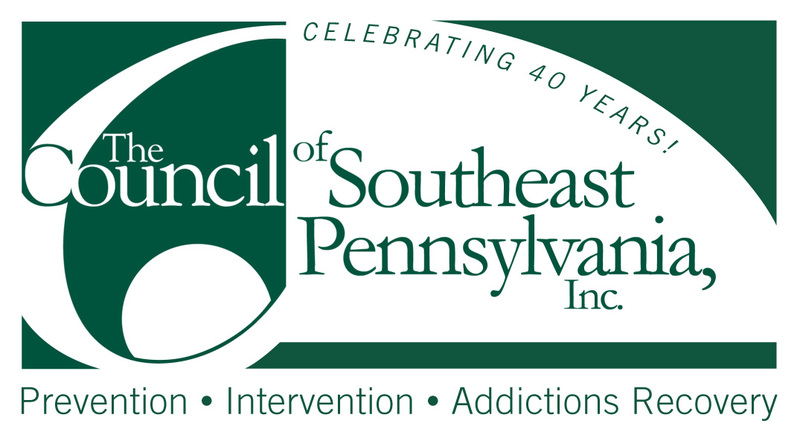 Through visionary leadership of the SSA, the model has greatly expanded access to medication assisted treatment by surrounding individuals with medical care, addiction treatment, and recovery support. Bill White: Beginning in 2013, you served as Deputy Project Director of BRSS TACS at the Center for Social Innovation. How did that role extend your knowledge of recovery advocacy activities around the country? Patty Metcalf McCarthy: For anyone unfamiliar with the acronym, BRSS TACS is Bringing Recovery Support to Scale Technical Assistance Center Strategy, part of SAMHSA’s Recovery Support Strategic Initiative. The amazing team at the Center for Social Innovation (C4) currently manages this large technical assistance project. In my role as Deputy Project Director, I had many opportunities to work with both the mental health and addiction recovery communities, bridging the gap and focusing on commonalities. Through BRSS TACS, I had greater exposure to innovative models of recovery-oriented programs across the nation and relevant topics, such as health information technology (HIT) and the implementation of the Affordable Care Act (ACA). One of the most rewarding aspects of my work with C4 was working within states, tribal communities, and territories during the State Policy Academies where they developed action plans for recovery-oriented systems of care and the inclusion of people in recovery at all levels. I was fortunate to work with awesome SAMHSA Project Officers, including Cathy Nugent and Marsha Baker, who provide the vision and direction of the initiative. Bill White: Your work at the Center for Social Innovation was followed by your assumption of leadership at Faces & Voices of Recovery in Washington D.C. How did you decide to pursue this role? Patty Metcalf McCarthy: I have had great respect for the organization, its history, and its leadership over the years. I was naturally drawn to pursue this role because I believe so strongly in the mission and saw a huge potential for expanding the reach of Faces & Voices programs. My experience developing, sustaining, and growing a statewide recovery community organization and successfully engaging thousands of advocates in public awareness campaigns made it a good match for my career goals. The job requires a keen sense of humility, empowerment of others, and visionary leadership. I was already quite familiar with the Faces & Voices organization and stepped in fairly seamlessly. It is an honor to assume this leadership role as I work to carry out the vision of the Board and our members. Bill White: For those readers not familiar with the current operation of Faces & Voices, could you describe how Faces & Voices is organized and funded? Patty Metcalf McCarthy: We have a small staff doing big things out of our office in Washington, DC. For many years, Faces & Voices, a 501(c)3 non-profit, had a fairly large Board of Directors with 26 members, 13 of whom were regional representatives. A new approach to regional representation began once the Association of Recovery Community Organizations (ARCO) was formed and became our regional structure. By reducing the number of its members, the all-volunteer Board is more focused on governance, strategic guidance, and fiscal sustainability. Public policy work is led by the twelve members of the Public Policy Committee, consisting primarily of non-board members. In addition, the Program/Outreach Committee focuses on programming support, partnerships, and our expansion efforts. We welcome volunteers to get involved in many ways. Faces & Voices relies on a diversified portfolio of revenue sources, focusing more on fundraising than on restrictive grants. Our annual America Honors Recovery Awards Gala is our primary fundraiser. We also have generous support from our corporate partners, federal contracts, foundation grants, merchandise sales, training and technical assistance fees and individual donations. Although Faces & Voices itself does not have a paid membership structure (something we have debated for years), ARCO does have membership dues paid by member organizations. The individual and family donations we receive, and other unrestricted funding, allows us to continue to be a powerful voice of recovery advocacy at the national/federal level--a constituency of consequence. Bill White: Describe the major programs and activities of Faces & Voices. Patty Metcalf McCarthy: Programs and activities at Faces & Voices generally fall under the categories of 1) mobilizing and organizing the recovery community, 2) addressing public policy, and 3) building the capacity of recovery community organizations (RCOs). We mobilize and organize to raise the profile of the organized recovery community and help more people find recovery by demonstrating that over 23 million Americans from all walks of life have found recovery. We address public policy by working to ensure that Federal policies do not present barriers to finding and achieving long-term recovery. In addition, we actively work with Congress to pass laws that will bring more resources for recovery support services to states and local communities. We use our collective voice to end discriminatory laws and policies impacting employment, housing, education, public benefits, health care, and access to treatment for individuals with addiction histories. We continue to promote the Recovery Bill of Rights as a declaration that all Americans have a right to be free from addiction and to access treatment and recovery resources. We participate in policy discussions as the voice of recovery and we use our extensive email list, along with social media, to keep the public informed and engaged with policy issues, trends, research and funding opportunities. 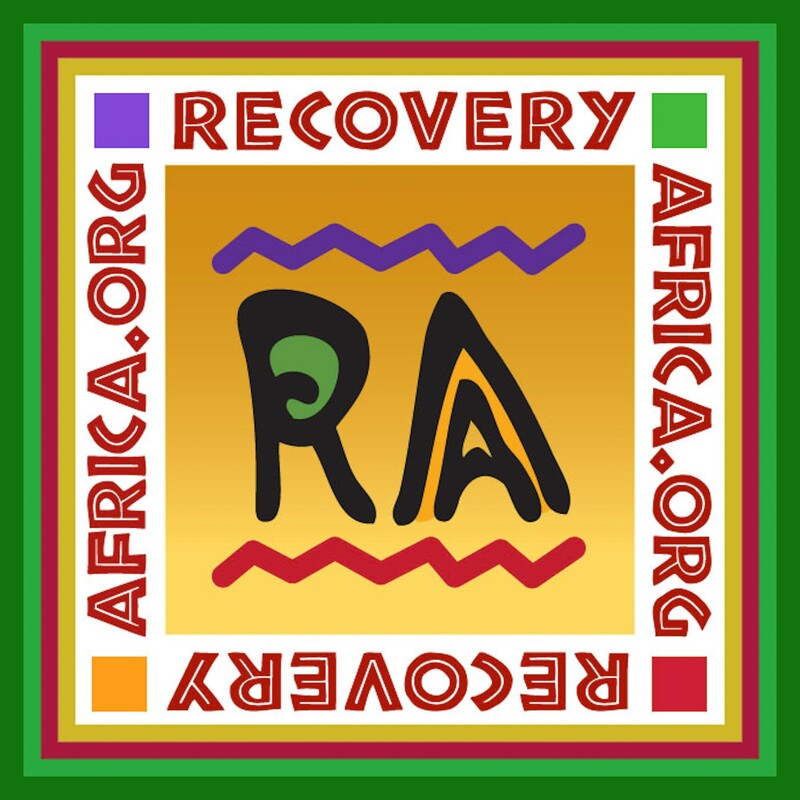 We build the capacity of recovery community organizations through our Recovery Community Organization Toolkit and through our Association of Recovery Community Organizations (ARCO) with over 100 members across the nation with added international membership. Each RCO focuses on a) mobilizing and organizing, b) building the capacity of recovery community organizations, and c) addressing public policy. They are working on a state or local level to raise the profile of the recovery community and remove barriers to long-term recovery. Most provide peer-based recovery support services such as recovery community centers, recovery coaching, telephone recovery support, and much more. In 2012, we created the Council on Accreditation of Peer Recovery Support Services (CAPRSS), a social enterprise LLC of Faces & Voices. CAPRSS is the only accrediting body in the US for organizations offering addictions-related peer recovery support services. CAPRSS purpose is to identify and support excellence in the delivery of services and other activities by peer recovery support services (PRSS) programs. Currently, there are five organizations that have achieved some level of accreditation and eleven organizations in various stages of the accreditation process. Bill White: Your role at Faces & Voices involves partnerships with multiple organizations. Could you describe the nature of these partnerships? Patty Metcalf McCarthy: It’s been fifteen years since Faces & Voices was formed out of The Alliance Project as a recovery advocacy campaign putting a face and voice on recovery. 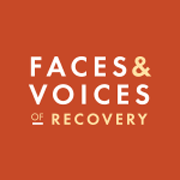 As it has grown over the years into the leading national voice for the recovery advocacy movement, Faces & Voices has partnered with a whole host of organizations to advance our mission, each with their specific focus and expertise across the spectrum of prevention, treatment, recovery, and research. In addition to over 100 RCOs across the US and beyond, we regularly partner with organizations with similar missions, advocacy priorities and recovery support initiatives. We benefit greatly from the involvement of other organizations on our Board and Public Policy Committee to help develop advocacy priorities and respond to solicitations for comments on recovery-related issues. Our current strategic plan includes exploring new partnerships to expand our reach beyond our current members and followers. Bill White: What is your vision for the future of Faces & Voices of Recovery? Patty Metcalf McCarthy: Staying the course! Being at the forefront of recovery issues is our priority and we intend to maintain and elevate our place in the recovery advocacy space. 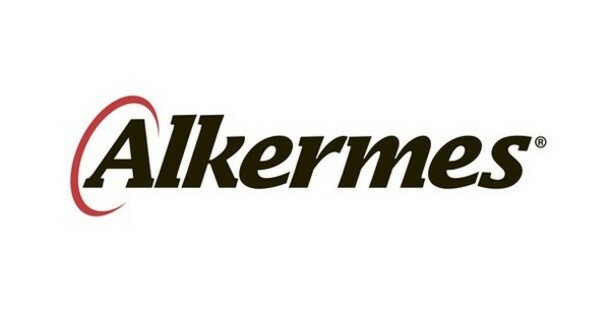 We will ensure that our current programs, products, and activities are even more widespread with greater impact. We plan to expand on and digitize our core recovery advocacy and message trainings (Our Stories Have Power) so they can be accessed anywhere, anytime by anyone with an interest in recovery advocacy. We’ve already trained thousands of individuals in recovery messaging and expect this to continue to be our signature training. We will launch the Recovery Ambassador Program that was a highlight of the Johnson Institute to formalize the role of recovery advocates. In addition, we plan to bring ARCO to scale by resourcing it to the level it needs to help grow and sustain RCOs across the nation and beyond. To do this, we plan to create the only peer-run National Technical Assistance Center for addiction recovery. ARCO leaders, many of whom are national subject matter experts, have the experience and skills to mentor and provide training to new organizations. Expanding the advocacy voice of our ARCO members is our priority as well. These organizations are the heart and soul of the recovery movement doing groundbreaking work in their own communities. They are keenly aware of the discriminatory barriers to housing, employment, and education, which keep people from fulfilling their dreams and aspirations for a bright future in recovery. I envision more opportunities to bring the recovery community together to celebrate long- term recovery and put a face and voice on recovery at events such as our annual National Rally for Recovery hub event, in observance of National Recovery Month. We will continue to address critical policy issues, such as access to treatment and recovery support services through the Affordable Care Act and monitoring the implementation of the Mental Health Equity and Addiction Parity Act. We continue to hear many, many stories of families still denied access to treatment for their loved ones, based on insurance regulations. We plan to bring together family advocacy groups to channel their powerful stories and effectiveness into our advocacy campaigns, as an organized family recovery movement. Our voices need to be heard until everyone is able to get the help they need during the window of time they want and need it most. State of Recovery Advocacy in the U.S.
U.S., what did we get right? Patty Metcalf McCarthy: We got a lot right, Bill! The new recovery advocacy movement is alive and well in the United States and internationally, and it is growing rapidly. So much has changed. People new to the movement may have a difficult time fully comprehending how far we have come with advocacy by the organized recovery community. Specifically, going back to 1998 when the first round of federal funding started the ball rolling. It was brilliant and I have to credit Dr. Westley Clark, then at CSAT, for that. He had the wisdom and fortitude to give people in recovery the opportunity to come together to identify core values, empower peer leaders, and establish the foundation for RCOs and peer-based recovery support services. I was part of the original cohort of peers that experienced that foundational work and it truly was a participatory process where peers from diverse cultures, regions, and pathways of recovery paved the way for future leaders. Looking back, the inspiration and forethought of people in powerful positions helped us tremendously. People like the late Senator Paul Wellstone who rallied recovery advocates at the Faces & Voices of Recovery Summit in St. Paul in 2001. He said, “I call on you to be the national voice for recovery. Be a community of one, unified, to be a powerful voice in our nation’s capital and in the states.” We continue to stay focused on this call to action to be the voice for recovery and have a significant role advocating for recovery in our nation’s capital. There is so much more that we got right. As an advocacy movement, we’ve capitalized on the power of social media to share stories, put a face on recovery, influence policymakers, and mobilize the recovery community with action alerts. We now have allies from a broader cross-section of society, such as leaders in the business sector, faith-based groups, municipalities, criminal justice, and child welfare. We are much broader than just those with personal addiction histories; we are all facets of society who believe that this public health issue impacts everyone’s economic and social well-being. As a movement, we’ve done a remarkable job with the language we use to describe ourselves as people in long-term recovery. We are now well-equipped with talking points that make sense and through more relational dialogues we can respectfully help people shift their attitudes, perceptions and the words they use. We are changing the conversation across the country as we educate the public and lawmakers about addiction and recovery. Bill White: How would you describe the current state of recovery advocacy in the U.S.? Patty Metcalf McCarthy: Advocates have had important issues to rally round over the past few years and the evidence of our effectiveness is quite clear. Federal legislation and local policies have been influenced by recovery advocates across the U.S. On the state and local level, recovery community organizations have been making significant headway with Ban the Box campaigns, Good Samaritan laws, restoration of voter rights, fair housing and employment policies, and improving access to treatment. The current state of recovery advocacy is strong and continually growing more powerful. Bill White: What do you think are the most important challenges now facing the recovery advocacy movement at a national level? Patty Metcalf McCarthy: To start with, we have many more opportunities than challenges. For example, youth and family advocacy groups are now more active than ever. They have added a new energy and an expanded focus to the recovery advocacy movement. As the movement grows and matures, a central challenge is finding effective ways for the growing number of advocacy organizations to work together and to act in concert. Bill White: Are there critical next steps for the recovery advocacy movement? Patty Metcalf McCarthy: In an environment of limited resources and competitive funding, it’s critical that we do not have advocacy organizations duplicating the work of others or competing for the same resources. It’s much more than a funding issue; it’s critical that the missions of organizations working in the recovery advocacy arena are clear to the public and lawmakers. People get confused when they are asked by multiple organizations to “join us” and “get involved” for similar efforts. This may create step back from how far we have come in mobilizing and organizing the recovery community. We do not need to reinvent the wheel, recreate what works, or sway followers in one way or another. National organizations having specific focus areas have been working together for years and each have been successful in their own arena. No one organization can do it all alone; which is why cooperative synergy while maintaining autonomy is so critical. The next step for Faces & Voices is to continue our advocacy efforts to ensure that we have the research and funding necessary to build a strong infrastructure for recovery support organizations, including recovery housing and employment programs. We have much work ahead of us to ensure that everyone has the right and resources to recover--so no matter how we move forward, we must create greater unification among advocacy groups. Bill White: And where do you see the proposed Comprehensive Addiction and Recovery Act (CARA) legislation affecting the future of the movement? Patty Metcalf McCarthy: Faces & Voices began working on the Comprehensive Addiction and Recovery Act with Senator Sheldon Whitehouse (D-RI), lead sponsor of the bill, before it was first introduced in September 2014. Since then, the response by recovery advocates has been nothing less than remarkable. CARA is the most expansive and comprehensive bi-partisan legislation for addiction in recent history. On March 10, 2016, S. 524 passed almost unanimously by a 94-1 vote. On May 13, 2016, CARA passed in the House by an unprecedented 400-5 vote. The date that CARA will be signed into law by the President of the United States is still to be determined as of today. If appropriations are made to fund the provisions in CARA, grant funds will be made available to support the work of new and existing RCOs, collegiate recovery communities, and recovery high schools. Coming together around CARA has been an amazing demonstration of the power of recovery advocacy. Through call-in days, visits on the Hill, email and social media campaigns, and town hall meetings, recovery advocates have endured a long distance race. One event, one Hill Day, one phone call, nor one email can get a Bill passed in Congress. It takes an organized movement to make it through the long haul. The future of the movement is now in the hands of every single person who had one small part in making this happen. The movement will be empowered to know that our stories have power and can indeed change the course of history. It’s a fantastic example of how we’ve become a constituency of consequence as an organized movement, similar to our efforts to pass the Paul Wellstone and Pete Domenici Mental Health Parity & Addiction Equity Act in 2008. Bill White: Participation in local recovery celebration events has grown dramatically over the past decade, and we’ve just witnessed the first gathering of recovery advocates on the Washington Mall. What do you see as the future of such events and their importance to the larger movement? Patty Metcalf McCarthy: The goal is to continue the momentum generated by such historic events. Recovery advocates came all the way from Alaska, Canada, and the United Kingdom and all points in between, many from organized recovery community organizations and affiliated with ARCO. Rallies, music and film festivals, recovery walks, and 5K runs have been successful in bringing awareness to recovery since the inception of Recovery Month and the local communities of recovery will need to keep that going. I expect these will continue and will serve as vehicles of recovery mobilization to put a face and voice on recovery and the larger recovery movement for years to come. Bill White: What do you see as the most important issues facing local members of the Association of Recovery Community Organizations? Patty Metcalf McCarthy: Without a doubt, it’s the issue of financing for recovery support services. While we’ve been advocating for federal funding for recovery support services for years, our focus goes well beyond the Federal level. Grant support from the Federal government is not a guarantee of long-term sustainability. We’ve seen RCOs come and go due to failure to sustain themselves after a three-year grant. We commend the states that have used the Affordable Care Act to finance recovery support services within their continuum of addiction- related services. However, this also opens up a market for non-RCOs to deliver recovery support services. Our biggest challenge is to ensure that all RCOs have sufficient infrastructure to provide effective recovery support services without having to compromise their integrity. We need research demonstrating the value and cost-benefit of peer-based recovery support services. Without research and a collective data collection system, the RCOs are at a disadvantage in a competitive environment. 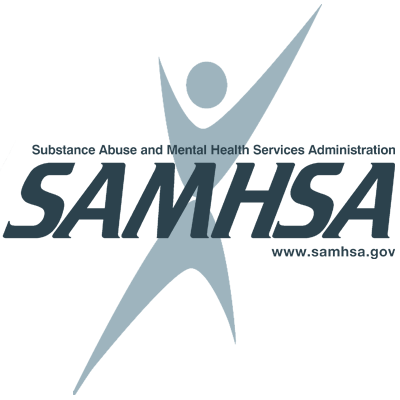 We also commend SAMHSA for including more specific language and direction in the SAPT Block Grant application for states to expand recovery support services. We are advocating for states to designate an equitable portion of block grant funds for recovery community centers, recovery coaching, recovery housing, and other types of recovery support services as essential components of their recovery-oriented systems of care. Bill White: What do you see as some of the major trends around peer recovery support services? Patty Metcalf McCarthy: In the early RCSP days, there were more opportunities for RCO leaders to come together to discuss, validate, and promote the ethics and core principles of peer recovery support services. At that time, there were innovative programs gaining recognition for their respective models of recovery support. The value of learning from one another and sharing materials, curriculum, policies, and guidelines was a lot more collegial than it is today. This concerns me because as a “recovery” field, we don’t have nearly the level of resources that the prevention and treatment fields have, and therefore have to fight for legitimacy and establishment of best and promising practices. For decades, SAMHSA has created hundreds of products for the treatment field as recommended protocols--such as the Treatment Improvement Protocols (TIPs) for women in treatment, medication assisted treatment, HIV, and so on. We envision an equitable process for resource development on the federal level for the recovery field with key recovery support service leaders as subject matter experts. Through a participatory process, the recovery field developed standards for organizations providing peer recovery support services. I anticipate a trend toward state authorities expecting organizations receiving state funding to meet these standards, thus giving deemed status to accredited organizations. It has been encouraging to see an emerging trend of managed care organizations contracting with accredited RCOs for recovery coaching, providing a safety net for those with highest risk of relapse and decreasing the use of higher levels of care. Bill White: As recovery advocacy and peer support has grown, the question arises about the relationship between recovery advocacy and recovery support and harm reduction initiatives. What are some of your perspectives on that? Patty Metcalf McCarthy: Recovery support is a form of harm reduction because we are meeting the person where they’re at and refraining from dictating their path of problem resolution. Whatever path or goal that person chooses, it is the role of the peer recovery support worker to help them achieve it. This is a core principle of peer support that may differ from an abstinence-only approach in the criminal justice system and some treatment providers. Advocacy from the recovery field has been based on supporting many pathways of recovery, including individual’s efforts to reduce the harm of addiction and to improve their quality of life. Bill White: Those of us concerned with breaking intergenerational cycles of addiction have been very interested in the potential of integrating recovery advocacy and recovery support with primary prevention. Do you see that integration increasing as time goes on? Patty Metcalf McCarthy: Absolutely. I strongly believe that the work of the prevention field and recovery community organizations should be aligned. There are certain strategies of prevention and recovery that are very similar, such as environmental strategies to create recovery-friendly communities, address negative public perceptions, eliminate discrimination, and expand substance-free environments and substance-free recreation. It is my hope that every prevention coalition has at least one individual in recovery and one family member impacted by addiction represented on the coalition. With limited resources available, it would also be more efficient and have greater impact if prevention, treatment, and recovery work together on media campaigns that, at a minimum, inform the public that long-term recovery is not only possible but is a reality for over 23 million Americans. Bill White: It seems there has been a considerable increase in requests for support and information from Faces & Voices from people in recovery in other countries wanted to launch recovery advocacy efforts. Patty Metcalf McCarthy: Yes, absolutely. We have offered our support and technical assistance to advocates from Norway, South Africa, Ghana, Canada, Brazil, Japan, the United Kingdom, Australia, and other countries. The recovery advocacy is spreading like wildfire internationally. Several have requested to use the Faces & Voices of Recovery name, products, strategies, and policies in their foundational process. We are always happy to share what we have developed to help our brothers and sisters abroad in the global recovery advocacy movement. It’s exciting to see the growth of recovery rallies and other public awareness events. personal challenges you have faced? Patty Metcalf McCarthy: I’m an idealist and many of us who are idealists have a grand vision and lofty goals. My personal challenge is to successfully merge new ideas into the way things have historically been done. Growth requires a visionary leader with the patience and determination to develop new relationships, partnerships, and opportunities. I am keenly aware that the history of the recovery advocacy movement must be honored every step of the way, and as a new face and voice of the organization it can be a challenge to build the bridge across our past and our future. The greatest personal challenge I have faced in recent years has been the loss of my dear friend and colleague, Jerry Gillen. Jerry was the Director of Operations at Faces & Voices of Recovery and he passed away from an accidental overdose of heroin & methamphetamine earlier this year. Jerry was larger than life, full of energy, stubborn, sarcastic, kind, thoughtful, and a key member of the Faces & Voices family. The loss has been devastating and difficult to bounce back from. I struggled personally with our decision to disclose publicly how Jerry died. In the end, it was the sharing of our stories to break down the shame and stigma of addiction that was the deciding factor. If we can’t talk about it, how can we expect others to. Bill White: When you look back over this work and your own roles in the advocacy movement, what do you personally feel best about? Patty Metcalf McCarthy: Personally, I feel good about being an authentic voice of recovery, whether I am speaking with policymakers on Capitol Hill or with my peers. I honor my recovery experience and keep recovery principles first. I enjoy creating opportunities for our recovery stories to be shared and I feel good about helping to bring families into the organized recovery advocacy movement. Standing with families on Capitol Hill who have lost their children to opiate addiction as they advocate for a comprehensive federal response to the opiate epidemic inspires me to do even more to make recovery possible. I also feel good about my experience with providing training and technical assistance on peer-based recovery support services and my experiences bridging the addiction and mental health peer movements. We have so much in common and we can’t afford not to work more closely together. Bill White: Are there are any important lessons you’d want to share with our readers about what it takes to do effective recovery advocacy? Patty Metcalf McCarthy: I think the most important elements of effective advocacy are knowing the facts around an issue, having a clear message and goal, and staying the course. It may be discouraging when we don’t see the immediate impact of our advocacy work but we can’t give up until stigma and discrimination are eliminated and all people have the resources they need to recover from addiction. Influencing public policy takes time and patience. We can’t do it alone and need to work together as an organized recovery movement. We must continue to do more, keep our goals in sight and always remember to celebrate how far we have come. Bill White: Is there any guidance you would offer someone who was just beginning to get involved with recovery advocacy or peer recovery support services? Patty Metcalf McCarthy: I would recommend learning about the history of the recovery advocacy movement and about peer-based recovery support services and then finding an opportunity in your local community to get involved. If there is not a recovery community organization near you, find out how to start one. Finally, don’t let anyone dampen your energy and your enthusiasm for recovery advocacy. Future generations are counting on you to carry the message that recovery is not just possible, but that it is indeed a reality for 23 million Americans. Bill White: Well said! Patty, thank you for taking this time to share your experiences and your reflections with us. Patty Metcalf McCarthy: Thank you, Bill. I appreciate the opportunity to share with your readers a bit more about me personally and professionally. Acknowledgement: Support for this interview series is provided by the Great Lakes Addiction Technology Transfer Center (ATTC) through a cooperative agreement from the Substance Abuse and Mental Health Services Administration (SAMHSA) Center for Substance Abuse Treatment (CSAT). The opinions expressed herein are the view of the authors and do not reflect the official position of the Department of Health and Human Services (DHHS), SAMHSA, or CSAT.